Lauren was born in April 2010 and neutered at the beginning of September. 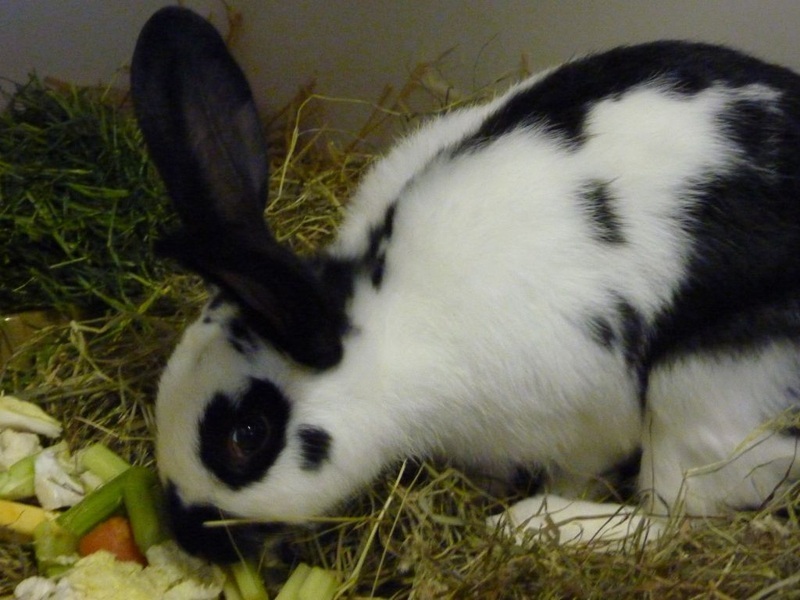 She is thought to be a Chequered/dwarf lop cross and is likely to be a large bunny when fully grown. Obviously she is looking for a companion (neutered male). She is full of energy and isn’t used to being handled so will need to go to a home where someone has the time and patience to devote to her.